Samuel Short was the son of Wesley and Rebecca Owens Short. He was an attorney and was elected as State Representative. Samuel is buried in the family plot. 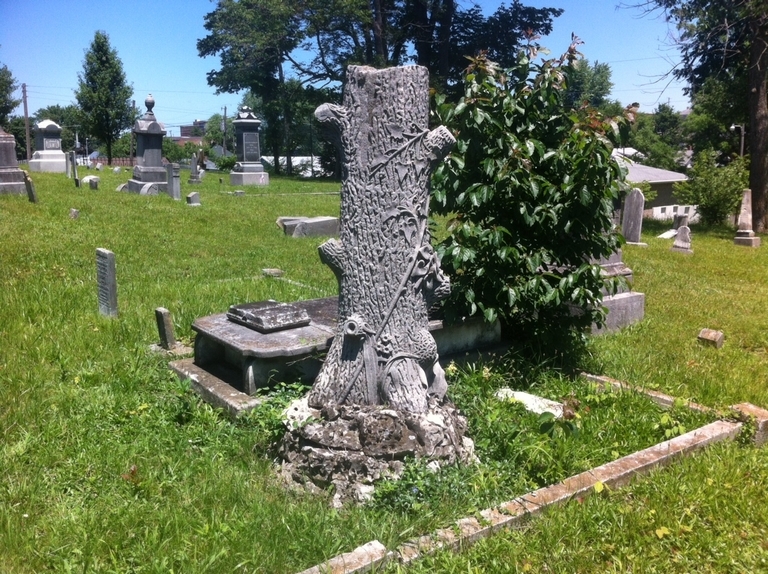 He has an elegantly carved "tree stump" monument. He served as an officer during the Civil War. He obtained the rank of Captain in Company B, 18th Infantry Regiment. He married Mary Pearson on November 8, 1848 in Lawrence County, Indiana. They had at least 6 children. Samuel was deacon of the First Christian Church.